That was the rallying cry adopted by liberal activists after the tragic death of Ferguson, Missouri, resident Michael Brown. Entertainers embraced it. As did sports teams, supposed journalists, and of course, Democrats in Congress. According to the man who shot Brown, Officer Darren Wilson, the phrase is a total fiction. 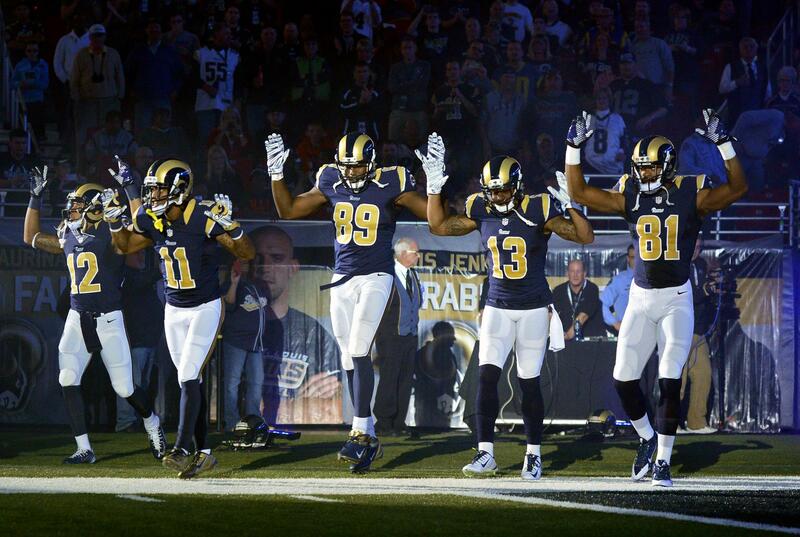 Brown never raised his hands or asked Wilson not to shoot. And Wednesday the Department of Justice released a report confirming Wilson's story. 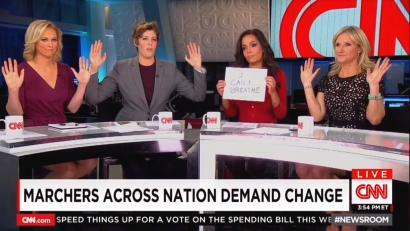 Although there are several individuals who have stated that Brown held his hands up in an unambiguous sign of surrender prior to Wilson shooting him dead, their accounts do not support a prosecution of Wilson. As detailed throughout this report, some of those accounts are inaccurate because they are inconsistent with the physical and forensic evidence; some of those accounts are materially inconsistent with that witness’s own prior statements with no explanation, credible for otherwise, as to why those accounts changed over time. Certain other witnesses who originally stated Brown had his hands up in surrender recanted their original accounts, admitting that they did not witness the shooting or parts of it, despite what they initially reported either to federal or local law enforcement or to the media. The DOJ report also found that, as Wilson claimed, Brown did reach inside Wilson's vehicle and strike him. The report also concluded that Brown did reach for Wilson's gun and was shot at close range in the vehicle when Wilson fought back. In addition, no evidence was found that Wilson shot Brown in the back while Brown was running away from Wilson. All the evidence showed that Wilson only shot Brown after Brown stopped, turned around, and then charged Wilson. Witness 101 has a misdemeanor conviction for a crime of dishonesty likely admissible in federal court as impeachment evidence. As described above, material parts of Witness 101’s account are inconsistent with the physical and forensic evidence, internally inconsistent from one part of his account to the next, and inconsistent with other credible witness accounts that are corroborated by physical evidence. It is also unclear whether Witness 101 had the ability to accurately perceive the shootings. Witness 101 likely crouched down next to a white Monte Carlo as Wilson chased Brown. The Monte Carlo was facing west with a view of the passenger side of the SUV. Brown ran in the opposite direction that the Monte Carlo was facing. Witness accounts vary as to whether Witness 101 was ducking for cover on the passenger side of the Monte Carlo with his back to the shooting, or whether he fled the scene prior to the final shots being fired. Both Witness 101’s inconsistencies and his ability to perceive what happened, or lack thereof, make his account vulnerable to effective cross-examination and extensive impeachment.